Home » Eyes » Brow pencil » What will you miss from Shu Uemura? What will you miss from Shu Uemura? One of the biggest news to hit the beauty industry this week was the news that Shu Uemura is pulling out of the USA. Shu Uemura fans in the USA can still purchase Shu Uemura products online but all the counters and stores will be closed. The reason was due to low sales and the fact that 80% of Shu Uemura’s sales appear to come from Asia. I guess that means that we in Malaysia are safe 🙂 But it got me wondering what I’d miss if Shu Uemura were to pull out of Malaysia *touch wood* There are 3 things on my list. 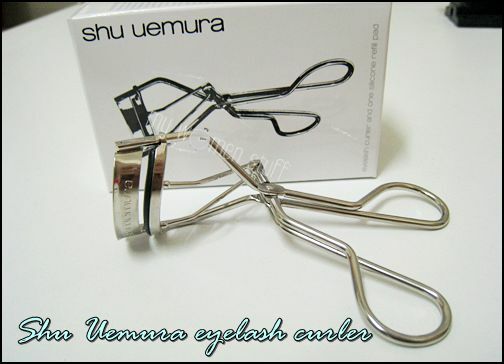 Right at the top of the list would be the Shu Uemura eyelash curler. It works well for me and I will stick to this one simply because it does the job. It grabs most of my lashes, gives them a graduated curl and does not pinch the skin of my lids. Retail price RM60. Worth every penny. A recent discovery and a discovery I am very happy to make. Light, velvety finish with sheer-medium coverage that lasts all day on me. RM175 for the whole set or RM125 for the powder only. Review here. I left the Shu Uemura brow pencil for a while because the tip on my pencil was broken and I didn’t have the time to get it fixed at the boutique. 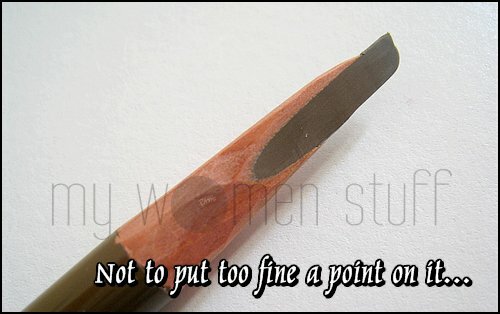 Recently I did and am now rediscovering the joy of using this iconic brow pencil. I’ll find it hard to get this one go. Retails at RM65. Previous Review here. You’d notice I haven’t listed any colour makeup. 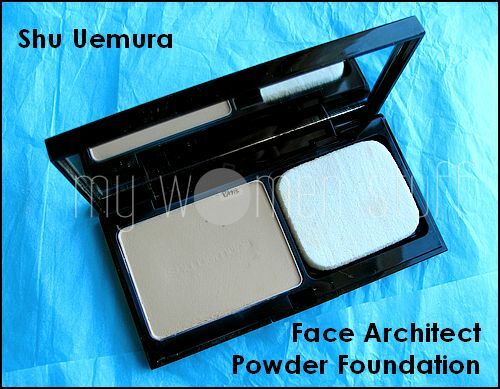 Its been a long time since I last checked out Shu Uemura’s colour makeup so I don’t think I’d miss it that much. Your turn. What will you miss (or not miss) from Shu Uemura if they were to pull out? And what d’ya know! Its Friday! I never thought I’d make it through this week. It stretched forever and a day and I have a busy weekend to look forward to! hi, I live in Europe and I would like to buy Shu Uemura products (in my contry they are wayyyy too expensive), do you know websites who sell genuine shu uemura worlwide?